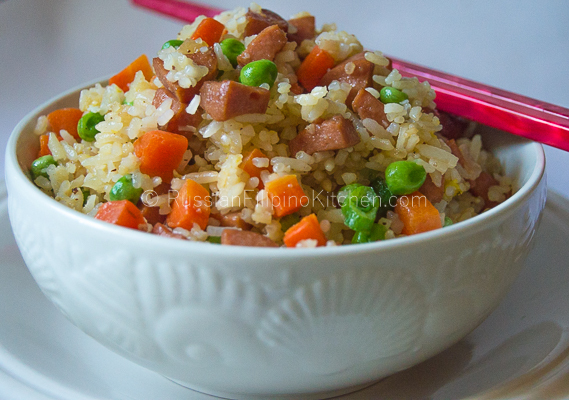 This version of fried rice is a regular in our menu because I don’t worry about dealing with leftovers afterwards. It’s one of those dishes I make at home where everybody in the family eats including my two kids who are extremely picky eaters. 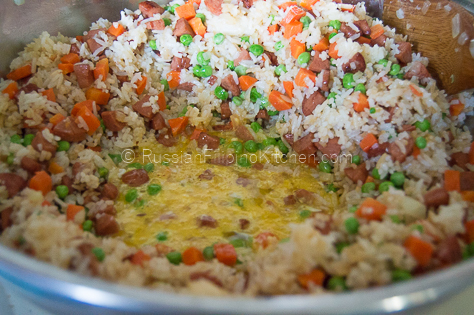 I admit I don’t like hot dogs too much, but in a fried rice dish, I love them! They complemented really well with the other ingredients and taste-wise it’s a winner in my family. 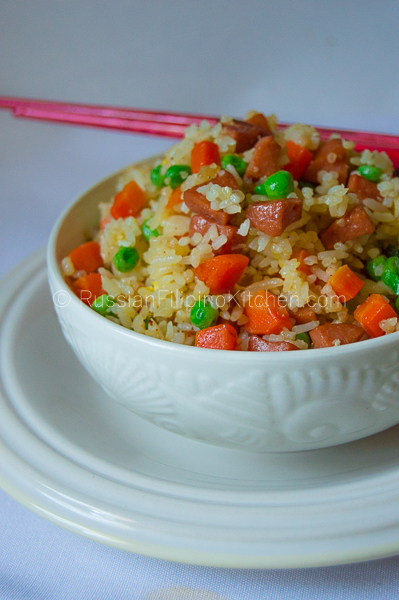 So if you love fried rice, I encourage you to try this delicious hot dog fried rice recipe. 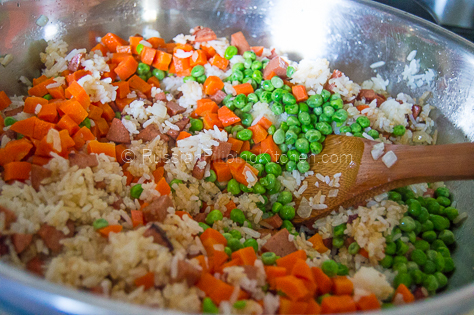 It’s quick and easy to prepare (ready in 30 minutes or less) and a great one-pot meal for the family with carbs, protein, and vegetables all in one serving. 1. 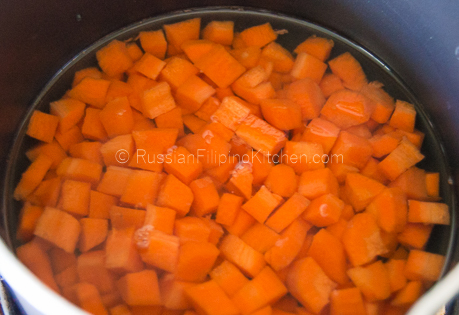 Place diced carrots in a small skillet or saucepan and add 1 cup water. Bring to a boil. Lower the heat and simmer for 5 minutes or until they’re soft enough to pierce with a fork or tip of a knife. Drain carrots and set aside. 2. Heat a skillet or wok on medium high heat. 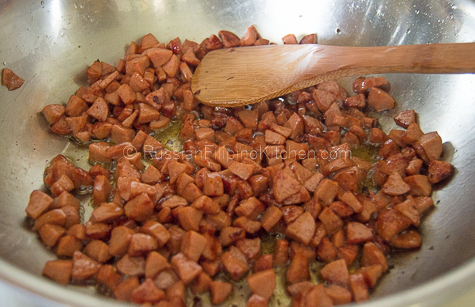 Add the oil and fry diced hot dogs till browned, about 10 minutes. 3. Saute onions and garlic till fragrant, about 1 minute. 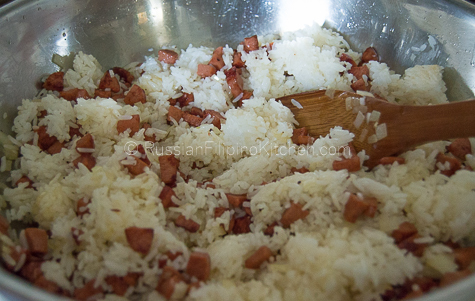 Add the rice, breaking the lumps using the back of the cooking spoon or spatula. Cook until slightly toasted, about 4-5 minutes. 4. 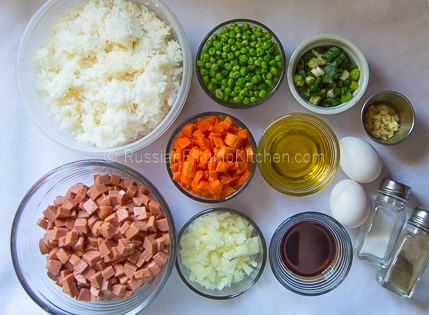 Add the soy sauce and mix. 5. Throw in the peas and carrots and mix. 6. Move everything to one side of the skillet and make a space to fry the eggs. Break the eggs and drop onto skillet. Let it fry halfway before stirring. Mix with the rest. 7. Season with salt and pepper. 8. 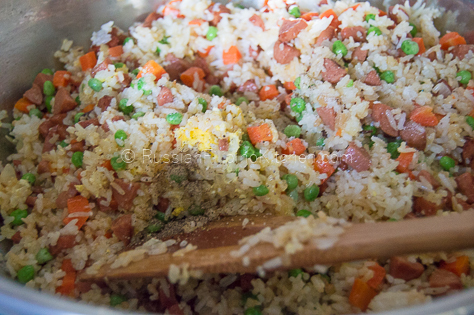 Lastly, add the chopped green onions, mix and cook for another minute. 9. Remove from heat and serve hot. 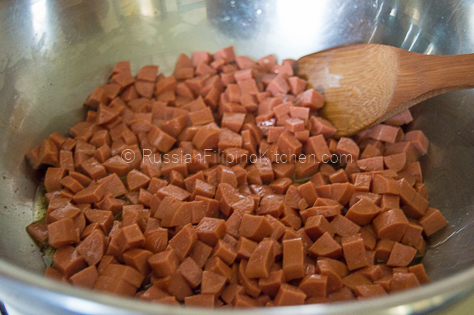 Place diced carrots in a small skillet or saucepan and add 1 cup water. Bring to a boil. Lower the heat and simmer for 5 minutes or until they’re soft enough to pierce with a fork or tip of a knife. Drain carrots and set aside. Heat a skillet or wok on medium high heat. 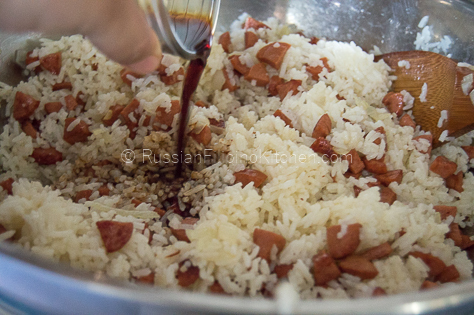 Add the oil and fry diced hot dogs till browned, about 10 minutes. Saute onions and garlic till fragrant, about 1 minute. 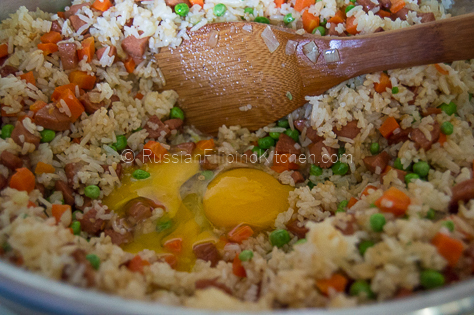 Add the rice, breaking the lumps using the back of the cooking spoon or spatula. Cook until slightly toasted, about 4-5 minutes. Throw in the peas and carrots and mix. Move everything to one side of the skillet and make a space to fry the eggs. Break the eggs and drop onto skillet. Let it fry halfway before stirring. Mix with the rest. 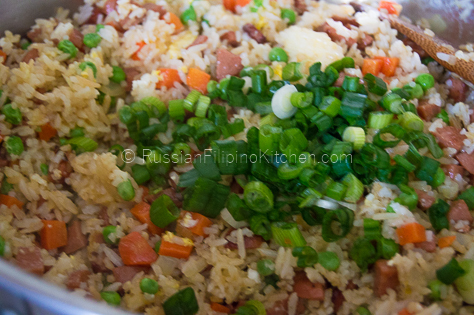 Lastly, add the chopped green onions, mix and cook for another minute.